Nautical Art Stripes picture set found on Etsy. Ralph Lauren Paint Image. Wainscoting close up picture. Wall stripe picture. The real estate listing picture of the room before the family moved in. Edgar Degas is one of my favorite artists of all time; but this border of his sketches of ballerinas has got to go! Although perfect for a girl's room; this will just not do for boys ages 5 and 7 who love comic book characters like the Avengers. This client was looking for a big change in their new home they just purchased. They needed a room that was originally pink with a ballerina wallpaper border to transform into a shared boys room, ages five and seven. The client really wanted to do a nautical theme and needed something that would go well with their bedding from Pottery Barn. She sent me a link to her Pinterest board so I could see what drew her eye and where her inspiration came from. I took my favorite pins from her board and added a few myself and created this Nautical board. I am obsessed with Ralph Lauren paint and designs; they do Nautical so well, you will see a lot of their pictures in this collection. The coast is only an hour away from me so my boyfriend and I decided to take a day trip over and find some inspiration; but mostly to eat yummy seafood. Like most days on the Oregon Coast, it was cold, dreary, and windy; we decided to not even go down onto the beach. We stuck to the cute shops and along the docks snapping pictures and being silly together. Here are some pictures that inspired me and helped to come up with my concept. I came up with this concept that would allow the boys to grow up in the room without it being too "kiddy" or "kitschy." The room already had wainscoting so I wanted to utilize it by having it be a darker gray than the top portion of the room. To give the room a more "designed" feel I suggested along the wainscoting to do squares with this rope moulding; how cute would that be? Another fun thing would be inside the squares to use chalkboard paint so the boys would always be able to have framed artwork on the walls; I would have loved that as a kid. I found the perfect blue to do a few stripes along the top 1/3 of the room that would tie in the stripes on the bedding and give visual interest. I also proposed a fun green (which is not as bright/vivid as the computer screen leads you to believe in real life) to use around the trim of the windows; and doors if they feel bold enough. Color is so hard to get a grasp on through an electronic device. Seeing these colors in person at your local Sherwin-Williams store and bringing the swatches into your home to see how they look in your space are vital. Color will change drastically based on your lighting and the sheen of your paint. What do you think of this style? Is it too bold, not bold enough, or just right? Are you feeling stuck or overwhelmed picking colors for your home? I am here to help! For only $5 I will help you pick a color theme for one room. Go here to learn more. 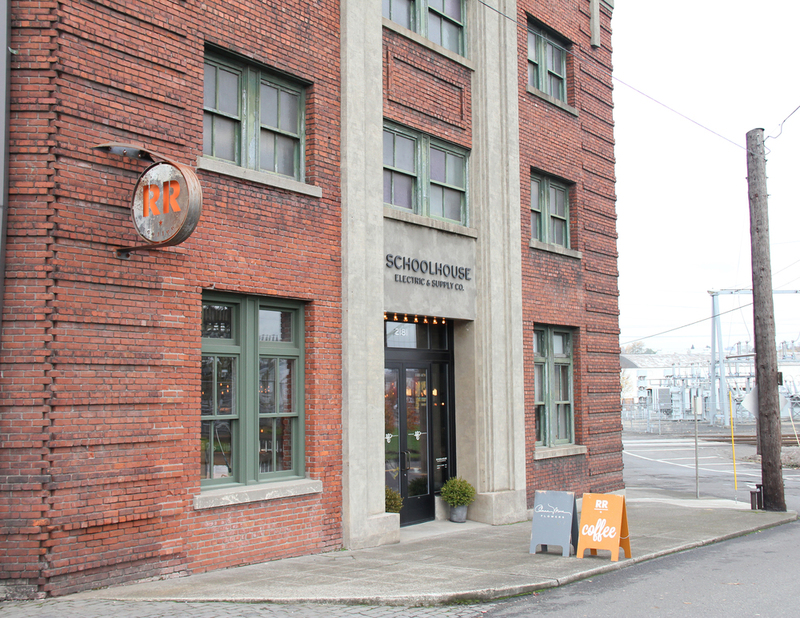 Nestled in the industrial district in Portland, OR is the trendy lighting and home décor store, Schoolhouse Electric & Supply Co. Started in 2003 by Brian Faherty, this small business has grown in the past 10 years into a unique retailer. Schoolhouse Electric was founded on the idea of bringing back authentic American hand-crafted light fixtures that aren't available in the mass market. Faherty had been selling and remodeling historic properties and was intrigued by how light fixtures were being put into these homes. “I saw that the projects were falling short when it came to lighting. They were turning to mass manufactured lighting from big box stores. To me, that was an area people needed to pay attention to,” said Faherty. With this idea in mind, Faherty did some research and found a company in up-state New York that had kept their collections of cast iron light molds from the early 20th century. He bought the collection, returned them to working order and started a small shop reproducing period light fixtures. In 2008, Schoolhouse Electric began to gain notoriety with home design bloggers and the business started to take off. 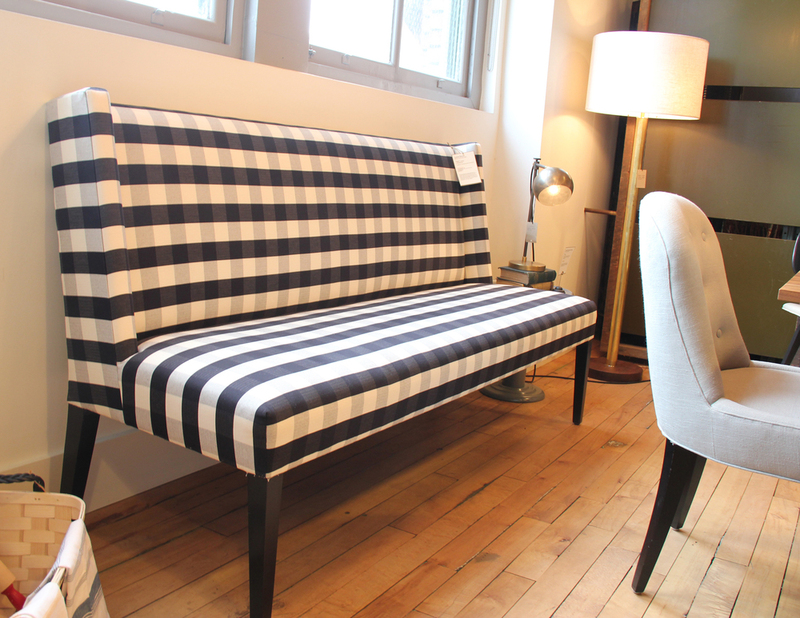 Faherty established the Portland warehouse in 2011 and followed with a store in Tribeca, NY. 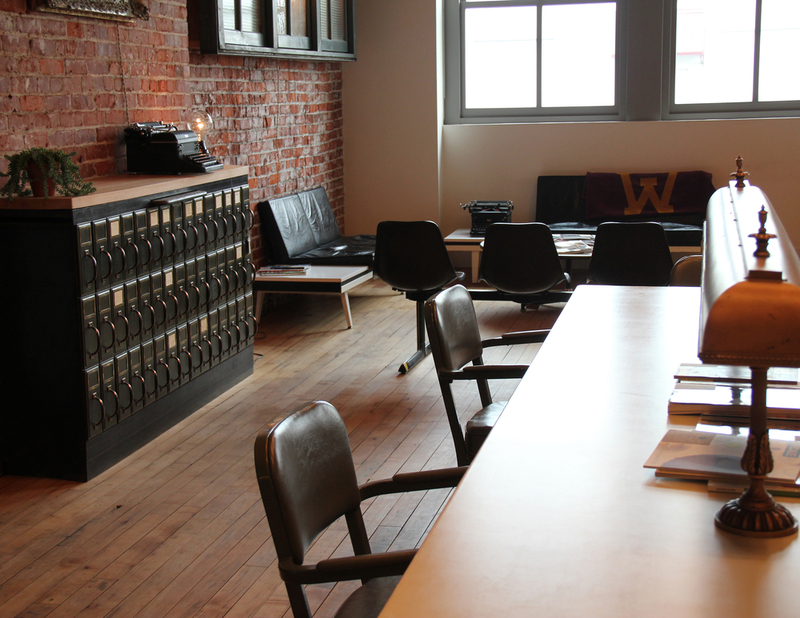 The fixtures that Schoolhouse Electric makes are simple, but present a sophisticated style. 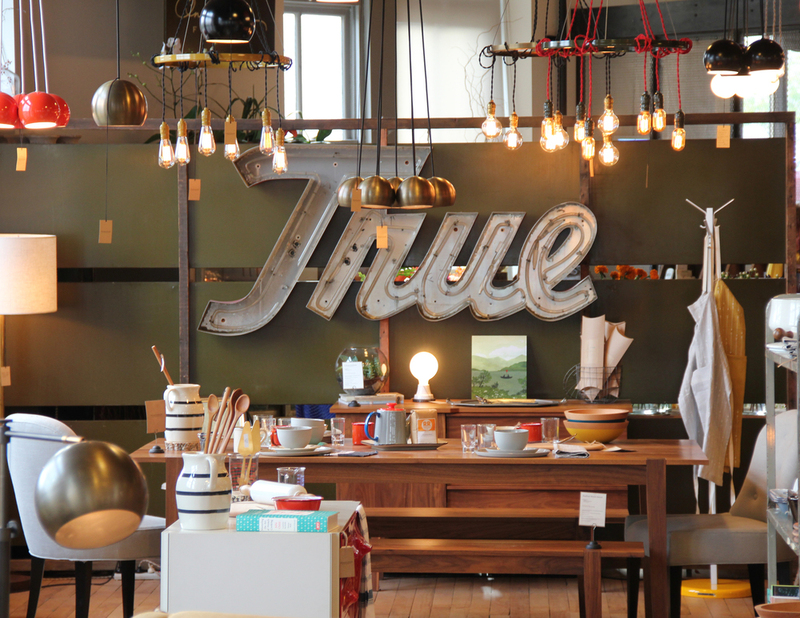 Faherty and the other designers at Schoolhouse find inspiration from the decades of yore and make the fixtures and home accessories modern and sleek, which is their appeal to customers. Along with making one-of-a-kind retro home fixtures, Schoolhouse uses materials that are only made in the United States and by local vendors. Faherty uses this concept in marketing his company: making accessories for the home that are not only unique aesthetically, but are functional as well. Branching out from lighting was an easy step to home furnishings. Industrial meets mid-century modern, each furniture piece has the same hand-crafted authentic, American-made prose and brings forth wistfulness that Schoolhouse has adopted as their brand. As the business continues to grow exponentially they are experimenting with new avenues; such as a line of bags, office supplies, and hardware. Coming from a collaborative mindset, Faherty has opened the Portland showroom to house Ristretto Roasters and Anna Mara Floral Design. The expansions have effectively made Schoolhouse Electric a one-stop shop, or a place to knock three birds with one stone.